You wouldn’t believe what Max, Duke, Mel and the other pampered pets of Manhattan get up to when they’re home alone! Find out in The Secret Life of Pets, in cinemas June 24th! 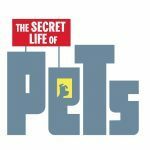 Get your hands on a copy of the new issue of Animals and You mag and you can enter our comp to win loads of The Secret Life of Pets goodies! Two lucky winners will each receive a character wristband, activity set, frisbee, notebook, squishy toy, lunch bag and a plush backpack. How cool is that?! 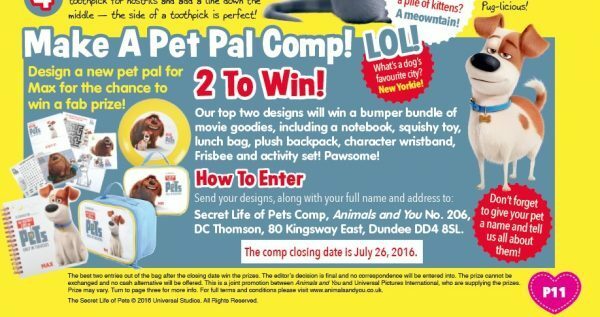 For your chance to win, all you have to do is design a new pet pal for Max! For our full Terms and Conditions for competitions, please visit our comps T&C page. Next story Name A Cutie!